Primo's has to be my absolute favourite place for Lunch in Leeds. 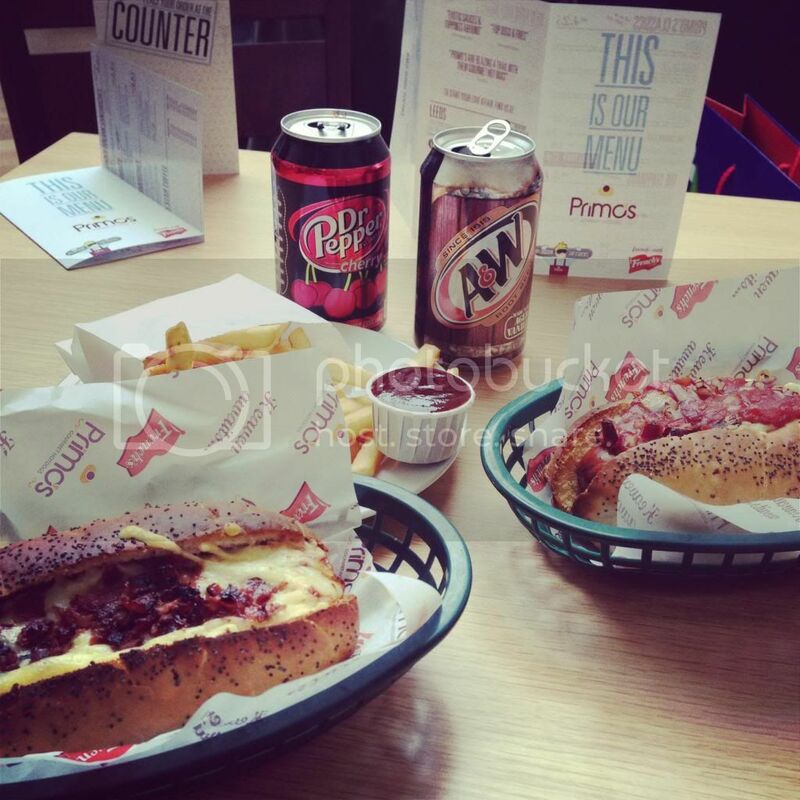 The small little relaxed restaurant in the Corn Exchange offers a number of Hot Dog combinations, using everything from Lincolnshire to Chorizo sausages, alongside Bagels, Nachos, Salads and Fries. The Boston and The Matador Hot Dogs. Between us, me and the boy have devoured pretty much the whole Hot Dog menu, my favourites being the Big Easy and the Utah, but their Onion Rings are absolutely amazing too and you can create your own combination if nothing off the menu appeals. I love the fact that they have an array of American drinks and sweets on offer... Root Beer is NOT for me...and they offer a loyalty card where you get your 10th Hot Dog free! It never seems to be busy which is nice as it definitely feels like a little secret place to eat, the decor is really cute with quotes such as "Eating three sensible, well balanced meals will only spoil your appetite for Hot Dogs." and "I'll diet when the earth runs out of food." The food has always been good and the prices are reasonable. Whenever we're stuck for somewhere to eat Primo's is always a winner.